This Sunday we celebrated Saraswathi puja. 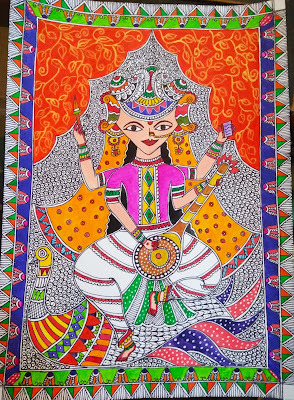 On this auspicious occasion we worship the Goddess of Knowledge & Music and get our books blessed. 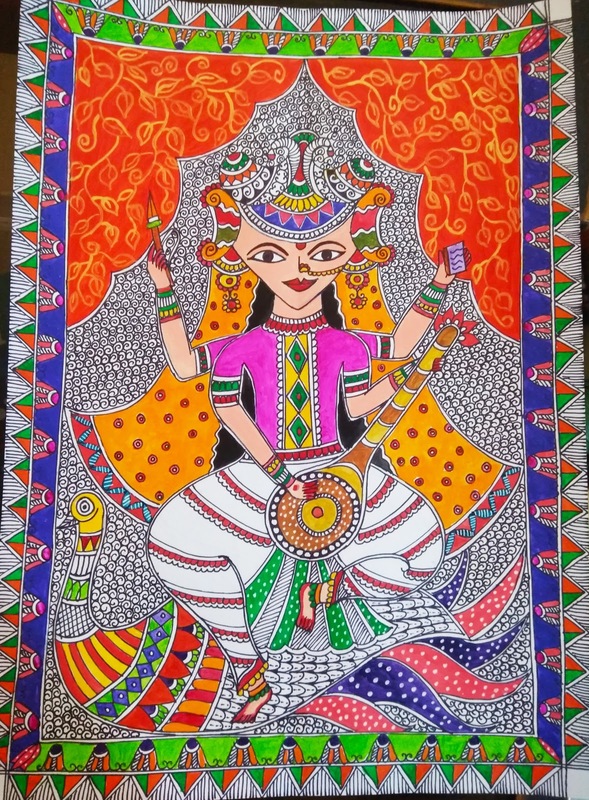 Also known as Basant Panchami.... this festival signifies the beginning of Spring Season and that is the why on this day people wear yellow sarees / dresses..
As a small token of worship I made this A3 sized Madhubani Painting of Goddess Saraswati on pastel sheet, using black marker pens and acrylic colours.